LA VALLETTA - Not to be missed! 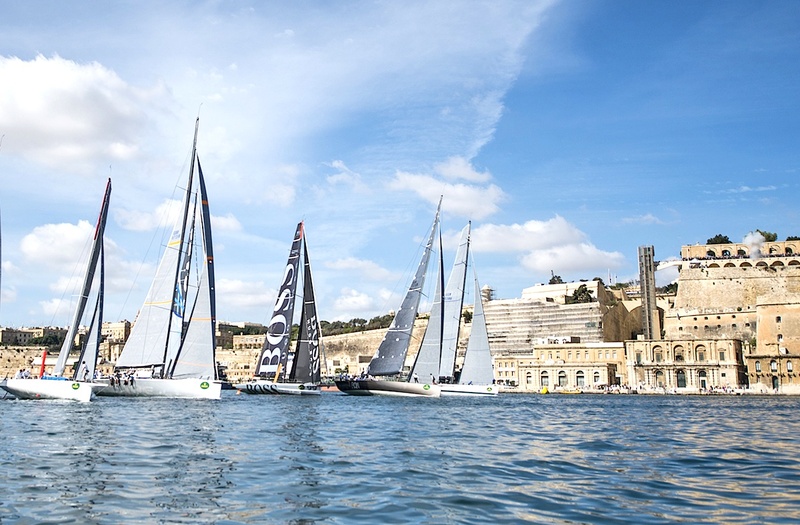 Be part of the celebrations the Royal Malta Yacht Club is hosting on the occasion of the 50th Anniversary since the first edition of this epic offshore race that took place in 1968. The Rolex Middle Sea Race is a highly rated offshore classic, often mentioned in the same breath as the Rolex Fastnet, The Rolex Sydney - Hobart and Newport-Bermuda as a "must do" race which has welcomed so many professional and Corinthian sailors looking forward to testing their wits and will. Some of the crews who etched their name in the Race’s history include Eric Tabarly, Cino Ricci, Herbert von Karajan, Sir Chay Blyth and Sir Francis Chichester, Ken Read, Vincenzo Onorato, Adrian Stead, Dean Barker, Brad Butterworth, Alex Thomson and Iker Martinez, and many others. From a local perspective, Maltese crews have done the country proud. The Ripard surname is synonymous with the race. Not only were John and Paul Ripard the founders of the race, but the Ripard name was etched on the winner’s trophy on five occasions - 1968, 1970, 1996, 2001, 2002, 2011 and 2014. Another name worth mentioning was Arthur Podestà who, prior to his untimely passing in 2015 was the only sailor to have taken part in all editions of the race. More recently, Lee Satariano and his co-skipper Christian Ripard brought the trophy home in 2011 and 2014 with the J/122 Artie whilst skippers such as Timmy Camilleri has also provided some notable performances. High profile boats from the world's top designers take part, most in pursuit of line honours and the record - competing yachts include the extreme Open 60, Riviera di Rimini; the maxis, Mistress Quickly, Zephyrus IV, Sagamore, Leopard of London and Rambler; and the pocket rockets such as the 41-foot J-125 Strait Dealer. In recent years multihulls such as Phaedo3, Maserati and Paradox have taken part and made history. From South Africa to the United States, from Chile to New Zealand, the appeal of the Rolex Middle Sea Race is unquestionably broad, with over 30 countries represented in 2017. The Rolex Middle Sea Race course record has only been broken on five occasions since the inaugural edition in 1968. The current record was established in 2007 and stands at 47 hours 55 minutes. This is held by George David's "Rambler".